What is the Språkkraft Reading Coach? 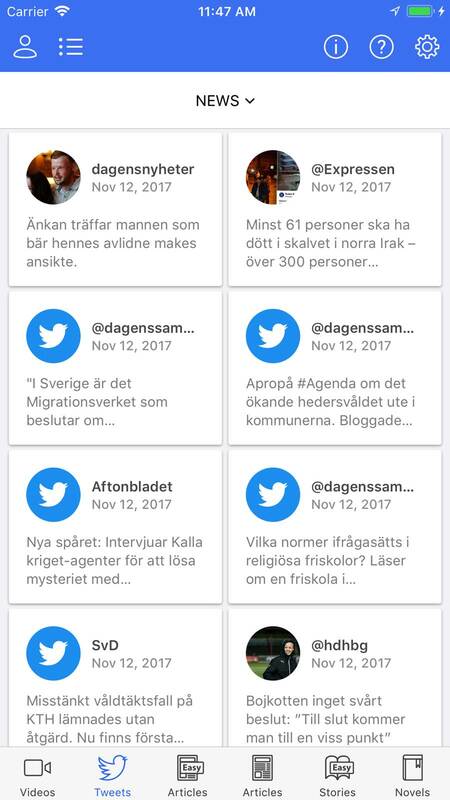 The Språkkraft Reading Coach is a free of charge application that allows you who strives to learn the Swedish language to read up-to-date and daily media content from the Swedish media. 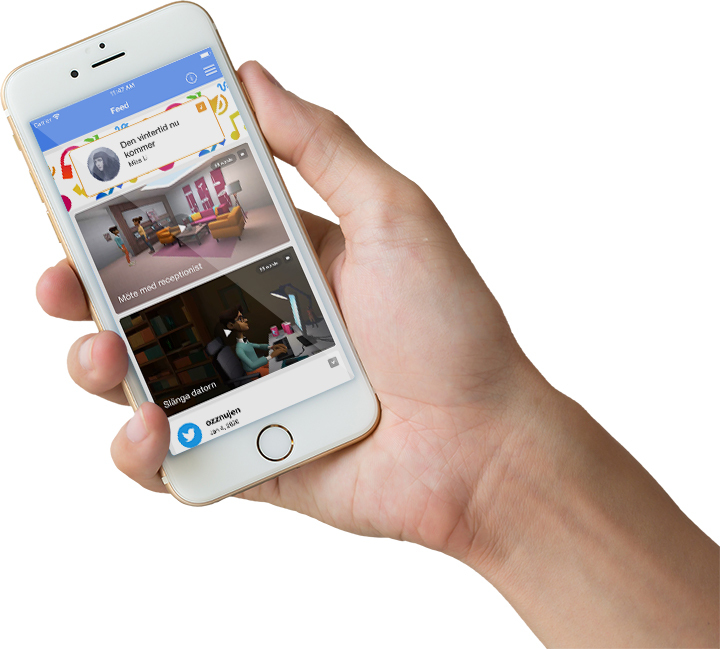 Learning Swedish with the app is fast, easy and efficient. 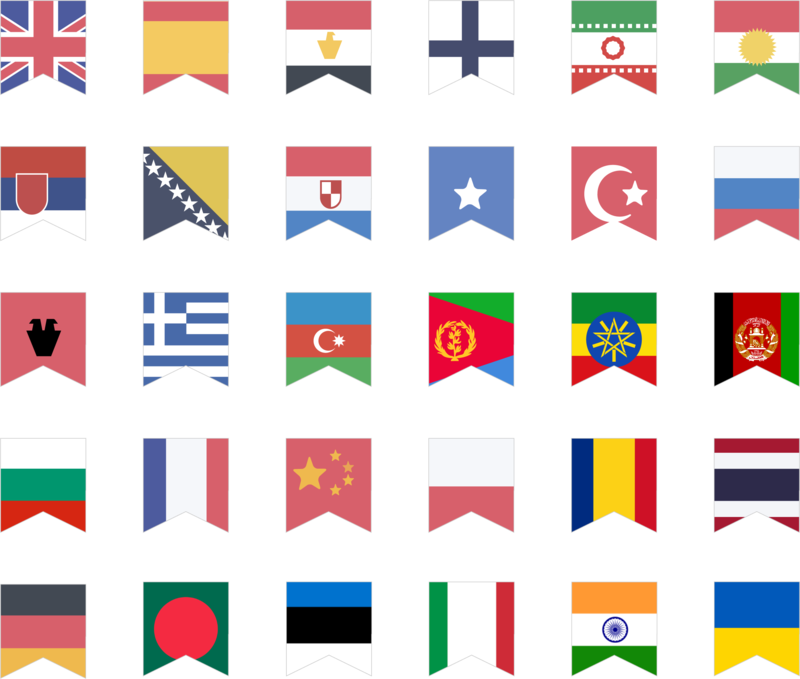 The app provides unique interactive subtitles that come with language support to 18 different languages. If you find a Swedish word you do not understand, click on it and an instant translation becomes available. With Språkkraft Reading Coach, learning Swedish is fast, easy and efficient. 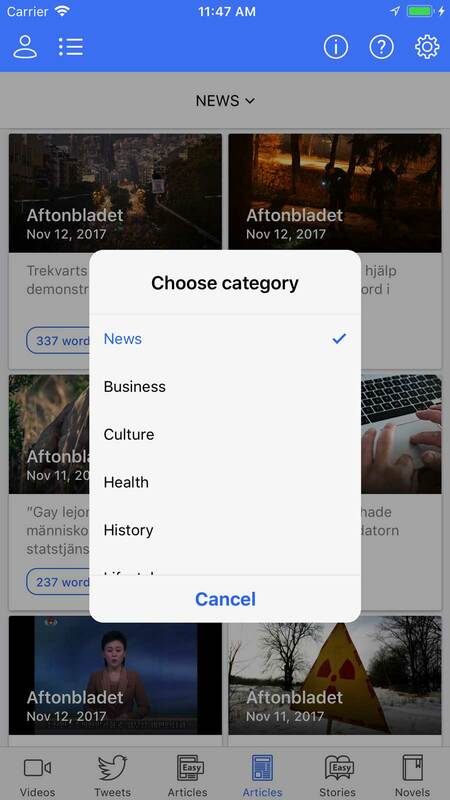 You can read up-to-date news, articles and media content from the Swedish media with the help of our integrated language support to 18 languages. If there is a word you do not understand, tap on it and see the translation. 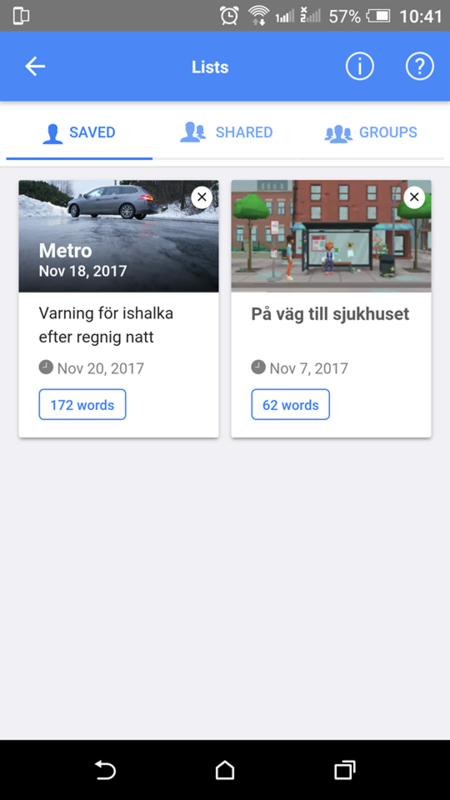 Why should you use Språkkraft Reading Coach app? Study Swedish at your own convenience and learn about the Swedish society through reading Swedish media content. From (Categories and Themes), you can pick your interest categories and favourite themes. 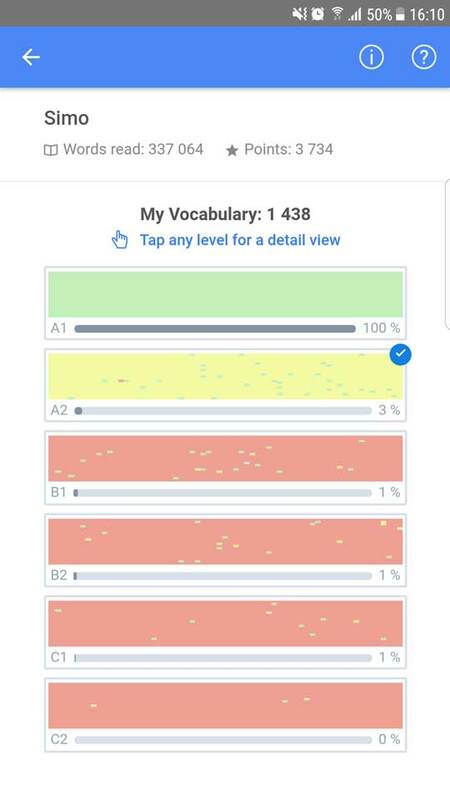 Monitor your progress and learned vocabulary through the visual Vocabulary. (A Personal Reading List) to save and share favourite videos and articles with your friends.